I was going to say that maybe the new Democratic candidate for governor in Florida may not quite be the figure he’s been touting himself to be…but as a socialist-minded politician, potentially being shrouded in corruption and cover-up definitely fits the bill for a Marxist of any stripe. Not to mention a powerful Democrat. So yeah…this actually makes a lot of sense. Andrew Gillum was the surprise winner of the Flordia gubernatorial race this week who has caught the attention of the nation as yet another unpredicted upset by a far-left candidate in an election an establishment Democrat had been projected to win; the first, of course, being Alexandria Ocasio-Cortez, who may be more of a favorite of the right than the left at this point for all her brilliantly hilarious gaffes. 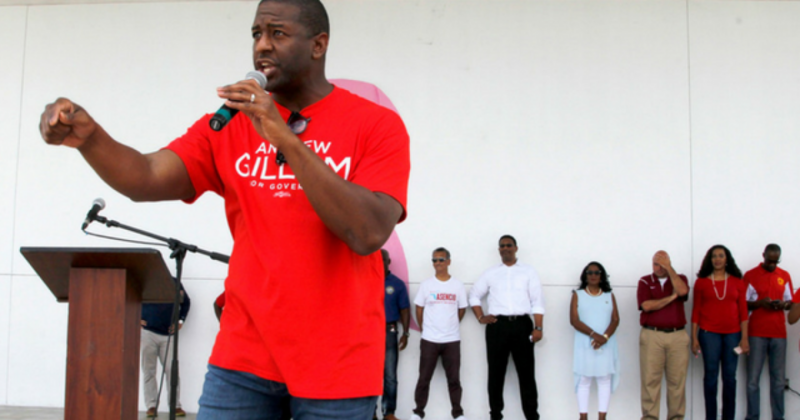 Gillum’s campaign, however, has a sizable hurdle to pass that progressives worry his Republican opponent, Ron DeSantis, may take full advantage of. The FBI has been conducting an investigation of pay-for-play corruption out of the mayor’s office in Tallahassee, of which Gillum is currently mayor. But an FBI search warrant released publicly by accident in February was “fairly telling,” he said. The search warrant names [commissioner Scott] Maddox and Downtown Improvement Authority Executive Director Paige-Carter Smith, his former chief of staff, and Governance, the consulting firm Maddox founded but sold to Carter-Smith.